We want to hear your views and opinions and there are many ways in which you can tell us what you think. A member of the senior leadership team is available at the school gate at the beginning and end of each day for quick enquires. If the matter is not of a confidential nature, you can email any feedback to the school’s email primary@selwyn.waltham.sch.uk. For a more detailed meeting, you can make an appointment to meet with a member of the senior leadership by phone, email or post. Twice yearly we send out a parent questionnaire. This is available online or as a paper version that will be sent home with your child. 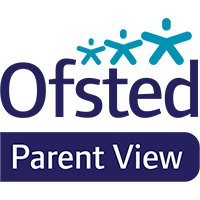 We hope that you are happy with your child’s education at Selwyn and that you will approach the school to discuss any matters of concern before there is a need to complain formally. In the event you wish to raise a complaint, a copy of the Trust’s Complaint policy can be found here.